Gangjin is located in the southwestern part of the Korean peninsula toward the end of the earth. And is famous for its uncontaminated area. There is Goryeo Celadon Kiln Site and a beautifulscene of Gangjin Bay, There are also Charming strange rocks and bizarre stones extended in Mt. 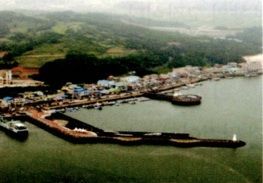 Seongmun and Mt. Manduk. In these mountain, there are House of Dasan where the Jung Yak-Yong(scholar who studied practical matters in the late period of Joseon Dynasty) was exiled and Baengyeonsa Temple of camellia flower. Gangjin is quiet, 0tranquil and cozy place which is hometown of poetKim, Young Rang of Morani Pigiggajineun(the name of his poem). The china craftsmen who lead the celadon products also considered Goryeo celadon as the best celadon, praising its beauty. 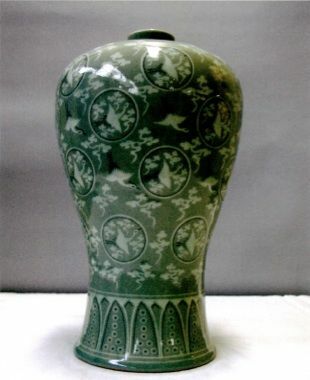 Especially Gangjin Goryeo celadon has special technique and splendid pattern. 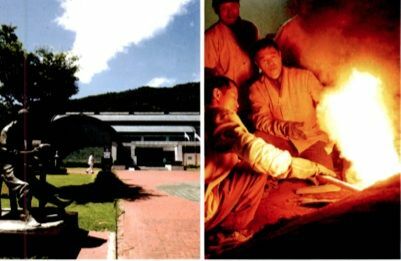 In Goryeo period for 500 years, Gangjin had 200 kiln sites in places and the 80% of the national treasures was made in Gangjin. The celadon Museum opened in September 1997 for the systemic preservation and study of Goryeo celadon. This is one and only celadon museum in the Korea. And It is promoting for succeeding development of the Goryeo celadon by collecting, displaying, studying, and educating etc. It's a good example of public museum by differentiated display away from ordinary display method and its historic site beside museum. And also there is a workshop for reproducting Goryeo celadon near the museum to show the past and present of Korean celadon. This is the place Yak-yong “Dasan", Jeong spent more than 10 years in exile after he was banished to Gangjun for being influenced by Catholism. 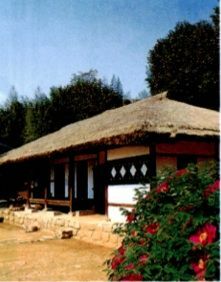 While living here in exile Jeong compiled the Realist School of Confucianism in the late Joseon Dynasty in 500 or more books including Mokminsimseo, Gyeongseyupyo, and Heumheumsinseo(the name of his famous books). 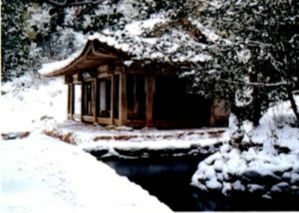 There are Jungsuk stone which Jeong carve the character “Jungsuk), Yakcheon(medical spring), Dajo(a stone for boiling tea), Yunjisukgasan(a small mountain at middle of the pond) and Cheonilgak(a pavilion which Jeong used to stay for forgetting the anxiety in this place. 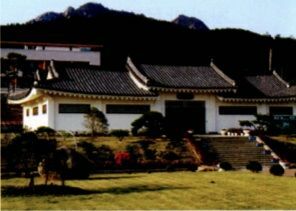 Dasan Relic Museum is located 800 m away from Dasan cho dang. It displays his chronology, family tree, a scholastic mantle, achievement, and relic. It helps to understand his life. This house had been sold several times since Kim moved to Seoul. Gangjin gun bought and have managed it. The main building was recovered as it was in 1992 because it was partially transformed. The building beside entrance which had been demolished was recovered in 1993 according to his family's advice. There are Spring, camellia tree, persimmon tree, and platform for crocks of sauces and condiments which are used in his poem. And tree peonies are planted all around. Kim His spirit is still alive in this house because it is well preserved and managed as it was. remodel it early 10th century. Muwisa temple was famous for temple of the Zen sect in early Goryeo period but It was famous temple for ceremony which is appeasing the manes of dead body. The main building, so called Geungnakbojeon, serves AmitabhaBuddha who controls the heaven. 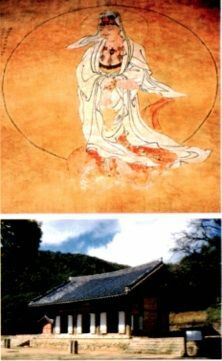 The original name of Baekryeonsa Temple is Manduksan Baekryeonsa temple. It was called Manduksa Temple in late period of Chosun. Nowadays it is called Baekryeonsa Temple. The 8 national leaders are from this temple in late period of Goryeo and the 8 saints stayed in here. It is historical temple for national leader WonMyo the 3rd. Daewoongjeon is built in late period of Chosun, and it has 3 rooms at front and 3 rooms at sides with special roof which has special pillar at the edge to support the roof better. 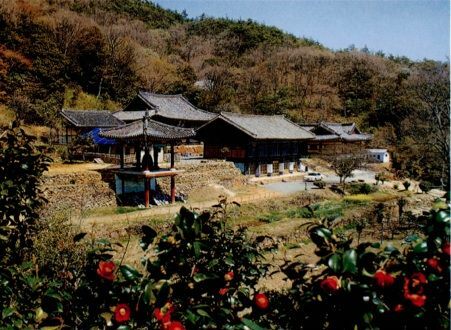 There are 7,000 trees of camellia in the slope land about 5.2 Hectare around Baekryeonsa Temple. It is 7m tall and It makes good view. And there are also nutmeg trees, the silver magnolia trees, big bamboos, and tea plants.It is 7m tall and It makes good view. And there are also nutmeg trees, the silver magnolia trees, big bamboos, and tea plants. It has 300 years of history to serve the guest or consume for the snacks with Dongbaekhwajeon(a traditional pancakes which is made of camellia leaf, green tea, wheat, glutinous rice, and barley. Yak-yong Jeong was banished in November 23, 1810 to Gangjin Jeong named this place Sauijae which means the house of upright person in thoughts, appearance, word, behavior. At this place, There is “Dongmoonmaebanga" which is for modern tavern and inn. Nammireuksa Temple as a main temple of Mireu Buddhism in the world was founded by Saint Bubheung. And then he built new building and take care of the garden inside and outside of temple. It made a magnificent view and a spectacular scene. There is a statue of the Amitabha Buddha in the Nammireuksa Temple which is the biggest bronze statue in the east Aisa. And from the Iljumun gate to the precincts of a shrine, there are 500 Nahan Statues. Jeolla Naval Fortress Site was made in 17th year of Chosun's King Taejong. Jeolla ByungYeong was the main base of the Jeolla Army for 500 years during the Choson Dynasty. It was moved from GwangSan-hyeon in 1417, the year of King TaeJong's 17. 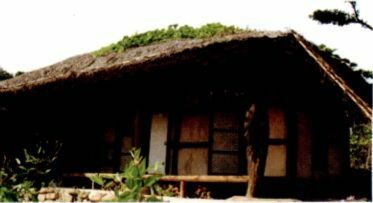 Its First commander, General Ma-ChunDeuk, built it and people called it "Snowy ByungYeong," because of General Ma's dream. Governor KwonYool's appeal in 1599, the year of King SunJo's 32, caused it to be moved to JangHeung temporarily but it was returned in 1604, during the Dutchman, Hamel's 8 year stay. The Hamel Memorial Hall located at Jeolla Byeongyeongseong is a tribute to Hendrik Hamel (1630~1692), who was the first person to tell of Korea's existence to the western world through his book "Coree-Korea 1653-1666." 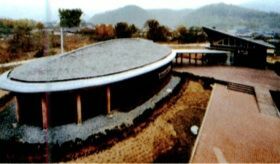 To commemorate this, Gangjin-gun set up a sisterhood relationship with Gorinchem, Netherlands, the birthplace of Hamel, in 1998.
on December 3, 2007, the Hamel Memorial Hall opened. represents the ship De Sperwer, which had shipwrecked in the boundless ocean. into different categories, such as the "Coree-Korea 1653-1966," Hamel's life, the socio-cultural situations and life styles in Joseon and the Netherlands in the 17th century, and the sisterhood between Gangjin-gun and Gorinchem. exchanges between Korea and the Netherlands. It's made in early period of Chosun. It's very strategic location during Japanese Invasion of Korea in 16 centuries. Because there is Manho ruined castle, Ggamak Island, Gogeumdo and Yaksando blocking the strong wind from everywhere. It's often held the concert every Saturday to mingle tourist with beautiful port at much beautiful night.